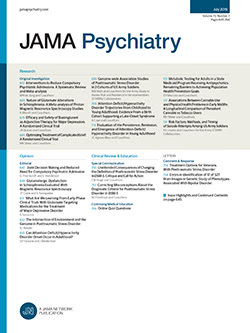 Mehta et al1 concluded that certain polymorphisms in FKBP5, a gene related to the glucocorticoid receptor (GR), determine specific types of hypothalamic-pituitary-adrenal axis dysfunction within posttraumatic stress disorder (PTSD) and that these polymorphisms are associated with biologically distinct subtypes of PTSD. These novel claims are unsound. The essential error consists in the drawing of categorical conclusions from dimensional analyses. A statistically significant triple interaction among allele carrier status, PTSD status, and baseline serum cortisol concentration or change in cortisol concentration with dexamethasone administration does not identify a specific dysfunction or a PTSD subtype. Further to the fictive status of these proposals, operational definitions of the supposed subtypes of PTSD were not given.